Our birds love these gear wheels. 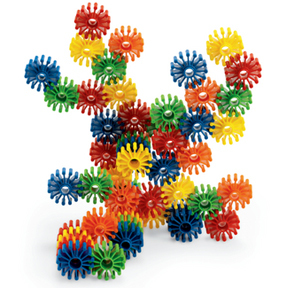 We use them as foot toys for the bigger bird or add them to toys and string them with beads! They are colorful, not a real hard plastic, there is some bend to it. There is a relatively large hold for easy stringing or pull a couple curly laces through the center .... get creative! Lots of fun and texture in this color part. 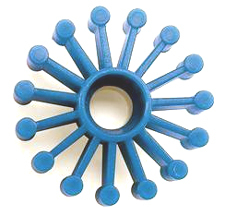 Size: 1-5/8" diameter with a 3/8" hole.